Not all homeowners have the luxury of space in their houses. Some make use of their living room as a resting place for kids or guests if there are no spare rooms, making a futon mattress an important home investment. A futon mattress can help you to save space in the long run, an ideal choice for homeowners who do not own large houses. Hence, for this post, we’ve created a list of our top 9 picks of the best futon mattresses available in the market today. The following are the most durable, stylish, and innovative futon mattress that you should consider investing. First, we have the 6-inch DHP coil futon mattress in blue. 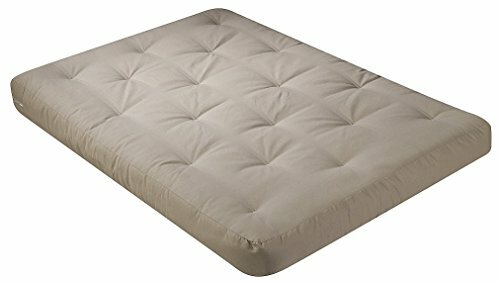 It is made of foam and polyester layering between cover and coils that can provide optimal comfort while you are using it. It can also fit any standard full-sized futon frame, making it easier to install. The tufted mattress cover does not stain easily and is safe to wash in a washing machine. The six-inch coil futon mattress will help to avoid any backaches when you wake up in the morning with this futon. The lavish microfiber blue cover is elegant and will fit nicely in any contemporary living room. This model is available in tan, chocolate brown, and black. Thanks to its 50-pound weight, transferrin the futon mattress is hassle-free. You don’t have to burn a hole in your pocket to have a quality futon mattress in your house that can serve you for many years to come. Perhaps you’re looking for a Japanese traditional futon mattress? 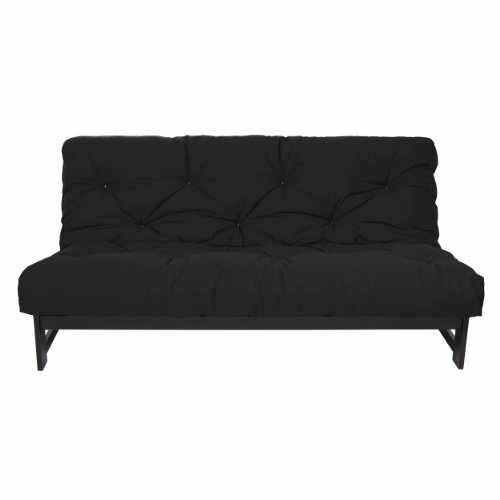 Check out this futon from Emoor. It is stuffed with Teijin Mightytop that’s anti-ticked, anti-bacterial, and deodorized that can last for a maximum of two years. Rest assured that even if the mattress is used by multiple people, the accumulation of dust and smell is minimized. 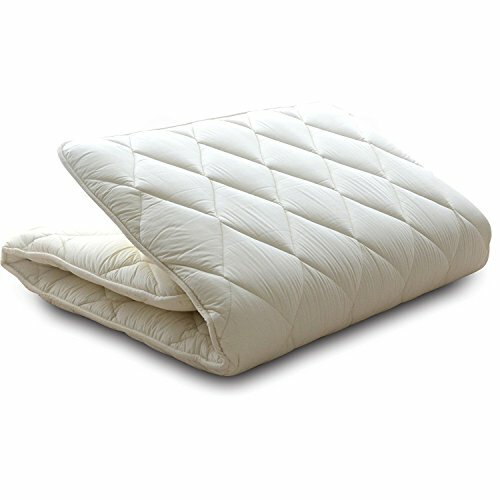 A firm polyester pad is located between two layers of a softer polyester quilt to provide excellent cushioning. This futon mattress utilizes 100% hygroscopic cotton fabric for its exterior, creating a soft and plush resting place for you and your family. Its impressive Japanese craftsmanship is solid and built to last. 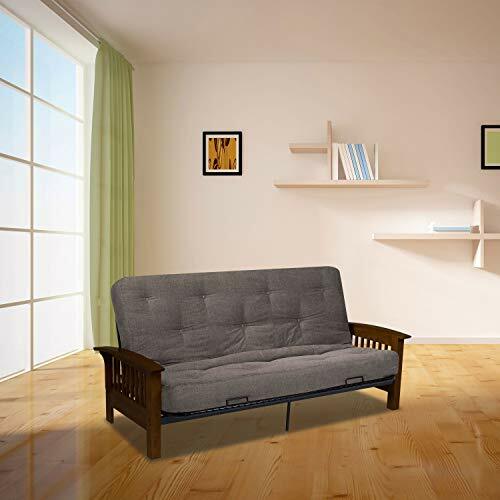 With proper care and maintenance, you can use this futon for throwing out sleepover parties or transforming the living room to your resting place during nighttime. Another product from Emoor, this is a three-piece Japanese futon set made of 100% cotton fabric. The package includes a comforter (Kakebuton in Japanese term), a futon mattress (Shikibuton) and two pillows for optimal comfort when you are sleeping. The futon is filed with Teijin Mightytop that’s anti-ticked, anti-bacterial, and deodorized—similar to their previous model. Rest assured that its effectiveness can last for a maximum of three years. Do not worry even if you have sensitive skin because it uses 100% hygroscopic cotton fiber for the outer fabric. It’s an ideal option for spreading over the bed mattress and make your sleep more comfortable. You can also place it on your living room’s floor for unexpected sleepovers or movie marathon with your family. Next, we have the Wolf futon mattress in elegant gray. This Serta futon features “cottonique”—a combination of selected grades of cotton with polyester for a unique and durable blend. What we like the most about this product is its resiliency. Rest assured that with proper care and maintenance, it can last for a long time. It’s wide, but it’s light and easy to store during the day when not in use. The Serta Cypress is 8-inch mattress is built to provide optimal comfort for a long time. There are three layers of cotton fiber blend that surrounds the two and one-inch foam and innerspring unit. Its lace tufted cover also provides superior comfort when you are sleeping and its true box casing construction for added durability. This is not only elegant but also a functional futon mattress that can provide years of comfort for your family and friends. If you are looking for a full-sized futon mattress, you should check out this product. This memory foam mattress is made of quality dual-sided memory foam. The memory foam is made of polyurethane gel foam to soothe aching muscles and prevent a backache in the process. We also like its large size that can fit any futon frame, making it comfortable for two adults at a time. To provide optimal comfort, it also features a cotton twill cover that can last for years of use. You have multiple color options to choose from that can match your existing interior design perfectly. Another thing that we liked about this product is that you can reverse the futon the way you like it. At day, it can turn into an upright sofa position and during the night, pull it down and you can have an instant bed. The Serta double-sided futon mattress is an excellent choice for homeowners who are fond of inviting close friends to their house for a slumber party. This 8-inch futon mattress provides optimal comfort to both adults and children. Similar to one of the products we’ve already reviewed, it also features “cottonique”—a combination of cotton and polyester fiber to last for a long time. Rest assured that the foams are made without ozone depleters, flame retardants, and heavy metals including mercury and lead for extreme stability. 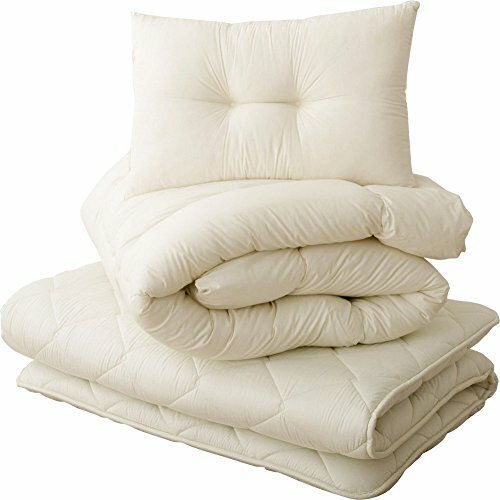 The foam is wrapped with the manufacturer’s cotton batting for optimal comfort. With proper use and maintenance, rest assured that this futon mattress can last for a long time. For smart homeowners who want to transform their futon into a sofa during the day and make the most out of it, you might want to check out this product. This Mozaic in hunter green color features a reversible gel memory foam to provide optimal comfort in the long run. It also helps to extend the service life of the product. The cotton twill cover of this futon can also withstand years of use and still looks good as new. Since its reversible, this futon mattress is durable. With proper maintenance and usage, rest assured that you can use it for the years to come. 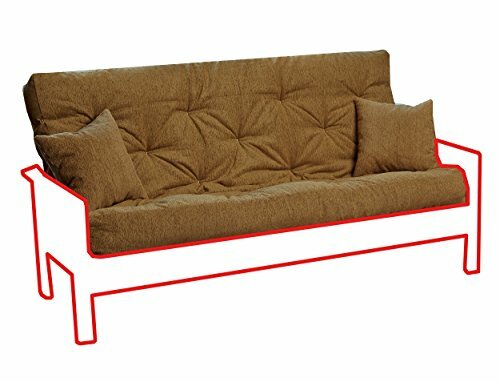 Its upright sofa position of flatbed position is an ideal choice for homeowners who do not have the luxury of space in their houses. Check out this sleek-looking futon mattress from Epic Furnishings. It’s the perfect choice for those who are looking for a firm sitting and sleeping place. You can use it as a sofa during the day and transform it into a mattress during the night. 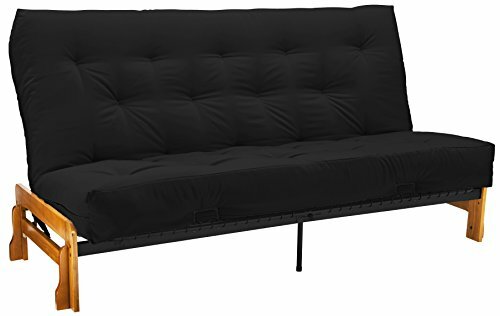 This futon can fit any standard sized futon frame or even a queen-sized futon frame that will work well with metal and wood. The product is built to last using fine quality materials. Rest assured that you cannot feel the frame while you are sitting or sleeping. It just feels like your traditional four-legged bed in your room, only that this futon is placed on the floor. It’s an excellent choice for those who wanted to adjust to Asian floor sleeping norms. Do you want to experience how to sleep like a royalty? You might want to check this futon from Royal Sleep products. The futon is made of four layers of premium cotton, poly blend, one layer of polyurethane foam, and two layers of memory foam. Pillows are also included in the package to provide optimal comfort. Tufted in white thread, rest assured that the fabric does not come loose after several uses compared to other products. 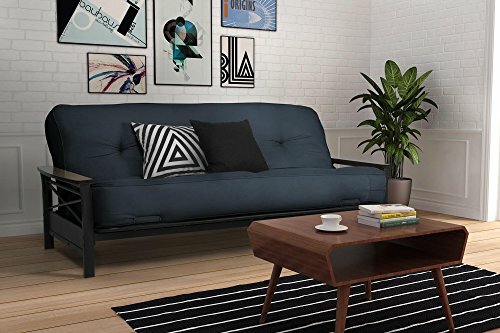 This large futon is an ideal choice for anyone who wants to save space in their home and accommodate their guests if there are on other spare rooms available.